Discarding of hazardous materials the right way is important. Not only does it help you go green it helps the environment and it keeps your home and community safe and tidy. Further, it keeps harmful toxins out of your family’s way. Still, it is a common question as to what exactly to do with those unwanted hazardous materials you want to discard. 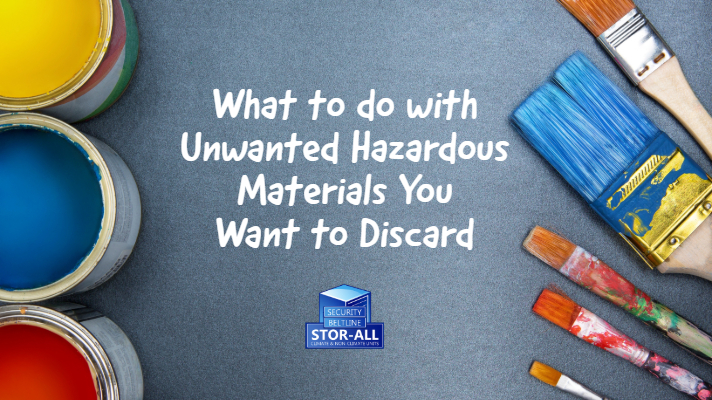 Here are a few tips on what to do with hazardous unwanted materials. Ask these 3 questions: is the hazardous material a chemical, a gas or a substance? Chemical: Examples of hazardous chemicals are paint thinners or hobbyist chemicals. Gas: A little-known fact is that those long, fluorescent bulbs used in garages and workspaces contain hazardous gas. Substance: Common examples of hazardous substances are household paints, especially oil-based or those with lead. Did you know? Medications are one often overlooked hazardous material. This includes both over-the-counter (OTC) and prescription medicine in the forms of pills, tablets, gel caps, powders or liquids. It’s common to dump them down the toilet or sink but this is harmful to the environment and can damage your family’s water quality and your home’s septic or sewer system. Sort it all out: Once you’ve determined which of the above 3 categories your hazardous materials belong in, sort them well. Place them in a box or bin or at least in a separate area of your garage or shed. This small step will make it easier as you move along the disposal process. Check your local ordinances: Cities and counties have rules about how hazardous chemicals are to be disposed of. Check with your city or county to see what those are. Some have curbside pickup. Others have a “round up day,” where you can actually bring all of your materials to them and they will take them away. Finally, you can also contact and locate your nearest landfill and dispose of the hazardous materials there. This last option is sometimes the only option for rural areas. Clean, clean, clean: Once you have disposed of the hazardous materials, it is important to thoroughly clean the area they were kept. You can easily do this with a bleach and water solution. If your family has bleach allergies or sensitivities you can also use a strong solution of vinegar and water. Using a rough cloth, vigorously clean the area to make sure all residue is gone. Set up a designated area: You have completed steps 1-4. Great job! Make it easier on yourself the next time this time of year comes around by designating a certain area in your garage or work shed for these types of materials. You can then layer that area with newspaper or old towels to prevent the chemicals, substances or gases from leaking onto wood or other porous areas. With all of us becoming more environmentally conscious it is a good habit to dispose of unwanted hazardous materials responsibly. We hope with these simple steps we have made your life a little easier today! If you have any questions about available storage space for household items contact Stor-Alls today. We provide all types of solutions for home and business owners in Mobile, Alabama and the surrounding areas. Call us today at 251-343-6999 and reserve your storage unit! 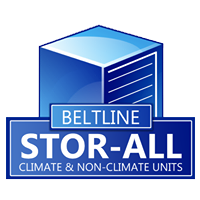 Check out Beltline and Security StorAlls today on Facebook, or visit us online at www.StorAlls.com!